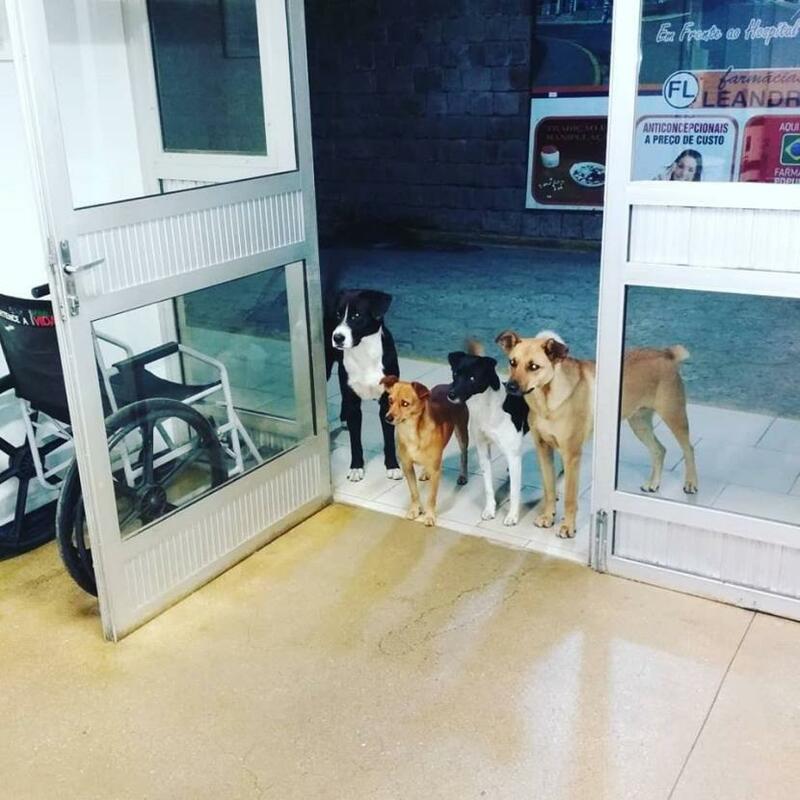 When a homeless man in Brazil was getting treated in a hospital, four dogs patiently waited outside for him, because dogs are man's best friends. The photo has gone viral. The heartwarming scene grabbed the attention of a nurse, who then posted the photo on Facebook and since then has melted hearts of lakhs of people online. Cris Mamprim from Brazil took to Facebook to narrate the whole incident, "At the hospital in which I work, at 3 am, while [their] owner - a street dweller - was being answered, his companions waited at the door," the translated post, written originally in Portuguese, read. Identifying the homeless man named César, she added, "A simple person, without luxury, who depends on help to overcome the hunger, the cold, the pain, the evils of the world, has by his side the best companions, and the exchange is reciprocal." Staffs at Hospital Regional Alto Vale in Brazil bore witness to the touching scene and later invited the patient's furry friends inside and offered food to him, which the nurse said he saved for them.